Dream. Dress. Play. : Make It Monday. Let's Make Pumpkin Pie For 4 Dolls! Make It Monday. 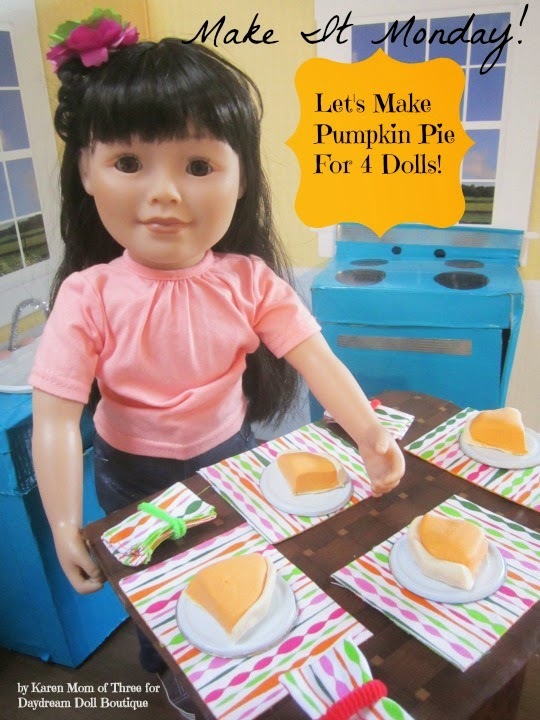 Let's Make Pumpkin Pie For 4 Dolls! 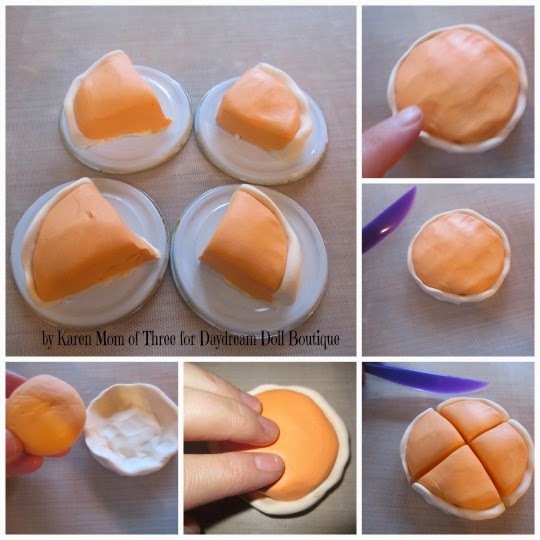 Karen here and today I wanted to share with you an easy way to make Pumpkin Pie for Your Dolls with Sculpey Clay's Pluffy Clay. 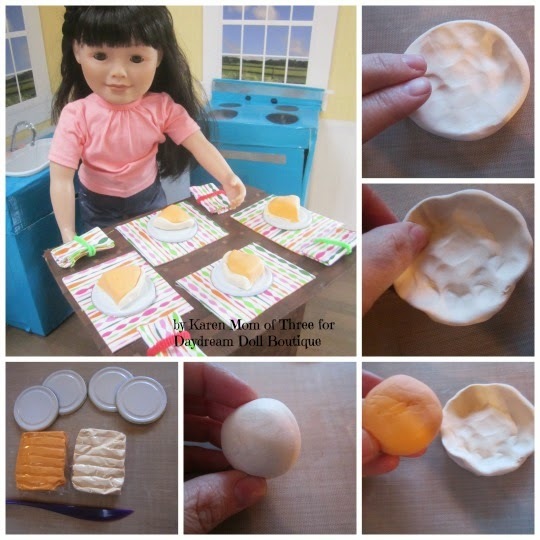 It is very easy to work with so even young doll lovers can create these doll sized baked treats easily. * Lids from tomato paste tins work great as dessert plates! Step 1- Assemble all your supplies and pre heat your oven. Step 2- Open your beige clay and use half the block to create a golf ball sized ball shape. Step 3- Press the ball flat, this will be your "pie crust"
Step 4- Use your fingers to fold up the edges of your "pie crust"
Step 6- Flatten your orange ball slightly, this is the pie filling and press it into place as shown in the photo above. Step 7- Use your craft knife to cut and separate your pie into pieces. Step 8- Place them on your baking sheet and bake for 20 -30 minutes. Remove from oven and allow to cool completely. Step 9- If you do not have doll plates use your re cycled tomato paste lids as plates! They work great. Serve your pie to your dolls. Black Friday Super Deal is Here !